It was one of the most bizarre 24-hour stretches in the life of St. Louis MMA. Two of the St. Louis region's top combat sports promotions were in St. Louis County Court on Thursday. On the table were Fight Hard MMA's use and promotion of two professional fighters under contract with Shamrock Fighting Promotions, an issue that Knuckle Junkies addressed earlier this month HERE. A St. Louis County Judge granted Shamrock Promotions, LLC's Motion for Temporary Restraining prohibiting Kyle Kurtz and Max McNeely from fighting on Fight Hard MMA's fight card at the Family Arena on Saturday, Sept. 17. A TRO filed against Fight Hard was not granted. Kurtz (6-2) was scheduled to fight Lucas Gwaltney (21-18) in the main event of the all-pro event. McNeeley (9-4 as an amateur) was to make his pro debut against Mike Wasem. A judge agreed that Shamrock Promotions has enforceable contracts with both Kurtz and McNeeley, who signed for an October SFC event,that prohibit them from fighting in an MMA bout within 45 days of their scheduled Shamrock FC bouts. In granting the TRO, the court found that Kurtz and McNeely, who had representation present, breached their agreements with Shamrock by signing separate bout agreements with Fight Hard MMA. In a Shamrock FC press release the promotion stated, "if competing promoters are permitted to "poach" fighters and steal them from cards in which match-ups have already been contractually secured and tickets sold to fans - the entire system crumbles. All promoters (UFC, Bellator, etc.) 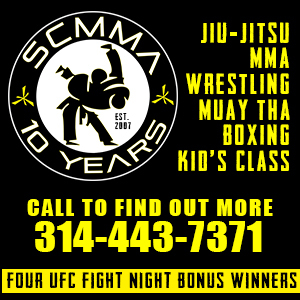 protect their fighters and the fans that have paid their hard earned money to watch them perform ... By seeking to pull Shamrock's fighters off their contractual fight cards to fight mere days in advance, Fight Hard MMA carelessly jeopardized fighter health and safety, the fighters' professional development, and the advancement of the sport of mixed martial arts in Missouri." Fight Hard MMA president Kenny Nowling took to Facebook early in the evening on Thursday where he not only questioned Shamrock FC and SFC president Jesse Finney's intentions and business practices, he went on to propose future fights involving Finney. The online vitriol and dialogue only heightened from there as proponents of both promotions, including a Fight Hard executive and SFC-signed fighters, displayed what at a minimum could be described as fiery responses. As for Saturday's Fight Hard card itself, which originally had nine pro fights scheduled, Tim Lueckenhoff, the Director of Missouri Athletics said as of Friday morning, the card was down to eight with only three of bouts with completed medicals. Lueckenhoff said he gave a deadline of noon Friday, with a possible extension to the 6 pm weigh-in set for Friday at the Family Arena, to get the remaining work in on five fighters, including Scott Futrell (4-3), a proposed replacement for Kurtz. Kyle Noblitt is now set to face Mike Wasem. A representative for Fight Hard says the majority of medicals have been completed and are currently being sent to Lueckenhoff with missing ones to come. "I'm hoping to be getting some emails here shortly," Lueckenhoff said Friday morning. 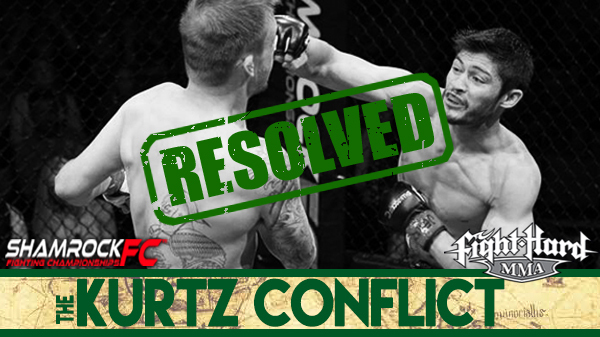 Kurtz was signed to fight Bobby Voelker in the main event of SFC: 276, September 24 in Kansas City. Finney said SFC is weighing all options, including still fighting Kurtz or slotting in a replacement fighter of fighters, which are in place.